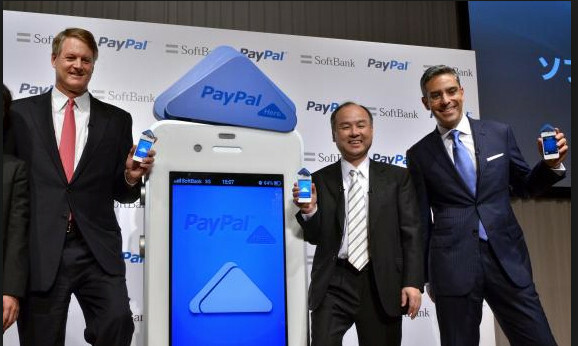 PayPal and Japanese firm Softbank have formed a joint venture to launch PayPal Japan, investing US$25 million to get the joint project up and running. Hiroaki Kitano, senior vice president and director of Softbank Mobile, is expected to head up the new joint venture as CEO. PayPal president David Marcus said the first product to be rolled out is PayPal Here, a service which allows small businesses to accept credit cards and PayPal payments via smartphones. Japan is the fifth country to have the mobile payment solution, which is now running in the US, Canada, Hong Kong and Australia. Marcus added that both firms would invest around US$12.5 million dollars in the project. “By bringing together these global and local assets, the joint venture can provide the premier digital wallet for online, mobile and offline transactions to connect millions of Japanese consumers and merchants,” he said. The JV hopes to take advantage of Japan’s booming retail commerce market worth around US$1.7 trillion in 2011, according to Japan’s Ministry of Enterprise, Trade and Industry. PayPal Here will target Japan’s 4.7 million small businesses, which account for 99% of all businesses and 70% of all of all employment in Japan. In preparation for the next phase of growth in 2014, Dentsu Indonesia has announced the appointment of three key management leader..